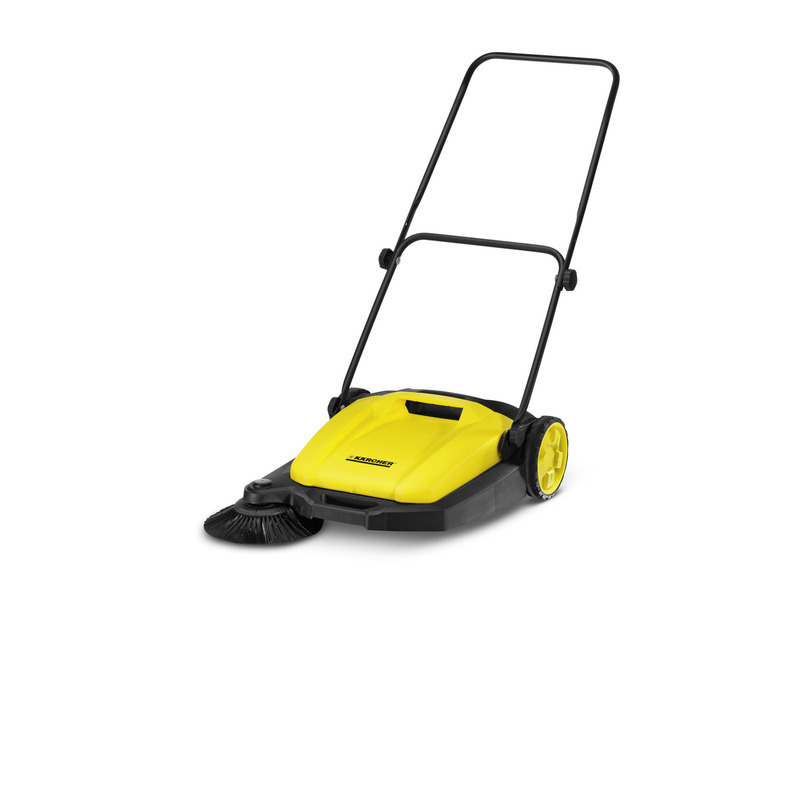 S 550 17662000 https://www.kaercher.com/ae/home-garden/sweepers/s-550-17662000.html The S 550 sweeper with a 550 mm working width, 16-litre sweeping container and a side brush is designed for areas of 30 m² or larger. For quick, convenient sweeping that is easy on your back. The S 550 sweeper with a 550 mm working width, 16-litre sweeping container and a side brush is designed for areas of 30 m² or larger. For quick, convenient sweeping that is easy on your back. 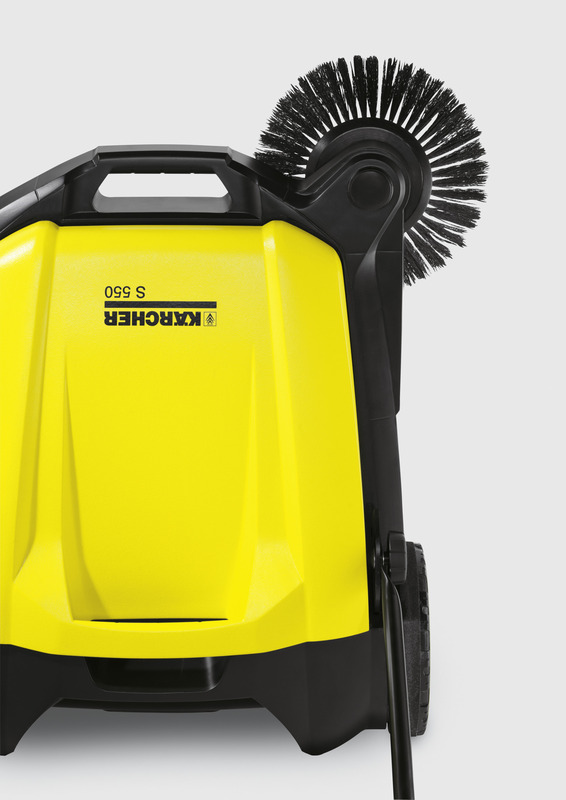 The S 550 sweeps five times faster than a brush, and what's more, delivers impeccable cleaning results. The device is ideal for areas of 30 m² or larger. 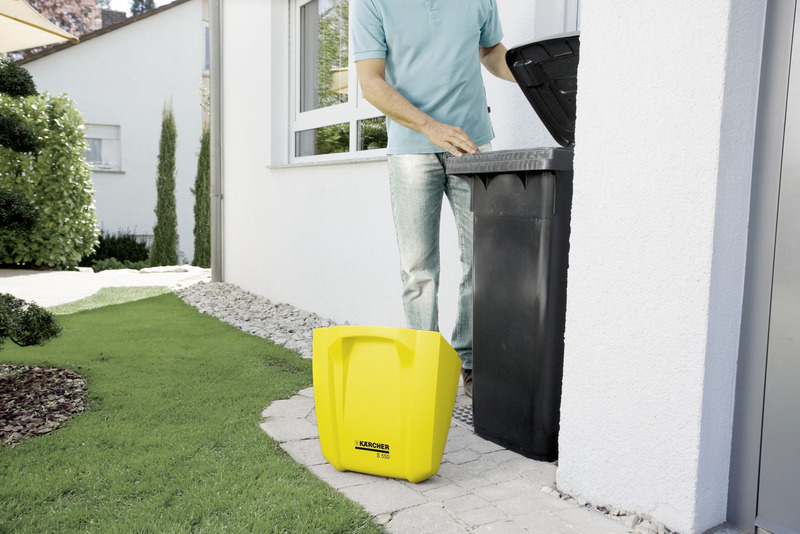 Waste such as leaves or grit is drawn directly into the 16-litre waste container: quick, easy and clean! In addition to the powerful roller brush and side brush, the S 550 has a total working width of 550 mm. The extra long bristles on the side brush ensure cleanliness right up to edges. 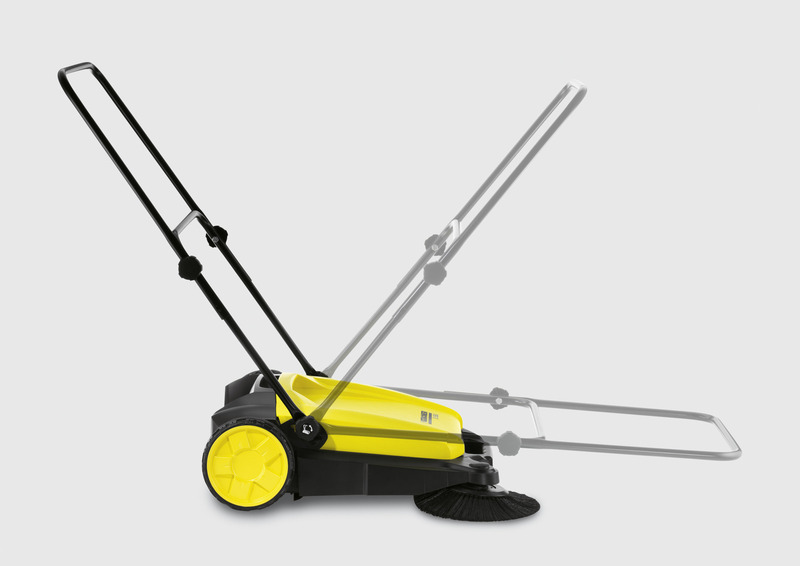 The robust, sturdy and corrosion-resistant sweeper is easy to push and manoeuvre. The height-adjustable push handle with two height positions can be adjusted to the height of the individual operator. The push handle can also be completely folded down if necessary. allowing the device to be stored upright and, therefore, compactly. The self-supporting sweeping container is easy to remove and is designed so that it can be safely set down and emptied. Without coming into contact with the dirt. The long bristles on the side brush ensure thorough cleaning even on edges. Convenient waste container: waste is drawn directly into the container, which can be easily removed and emptied. 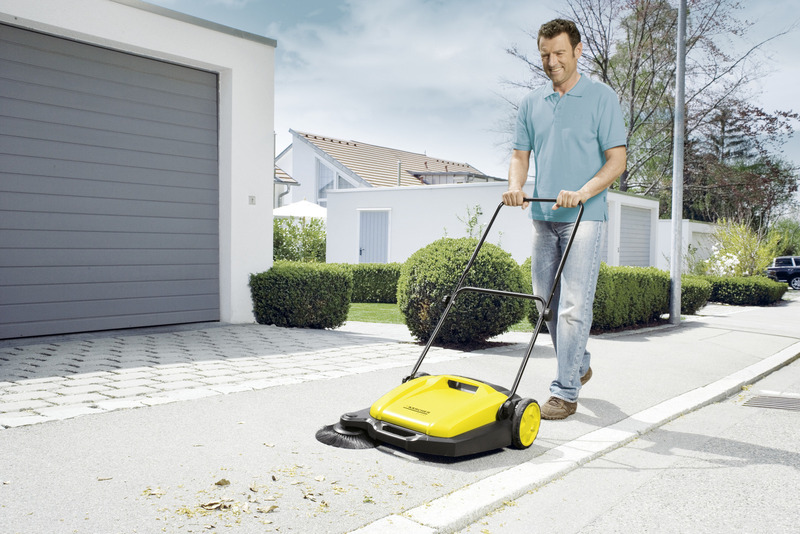 With its fold-down push handle, the sweeper can be stored upright, thus taking up very little space. Push handle is height-adjustable (extendable with two angle adjustments). For sweeping that is easy on your back. Easy to take out and designed so that it can be set down safely. The sweeper is easy to transport. For cleaning paths, streets, driveways to courtyards and garages, and areas around the home. Recommended for areas of 30 m² or larger.